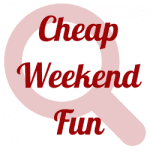 Cheap Weekend Fun in Boston for October 18-19, 2014! Head of the Charles Regatta: October 18-19, 2014 along the Charles River. Watch the world’s best crew teams at the banks of the Charles River for the ultimate two-day rowing competition for the 50th Anniversary. A Cappella Competition: October 18-19, 2014 from 12-4pm at Faneuil Hall Marketplace. Be part of the audience as 16 A Cappella groups across New England battle to be the best! 2nd Annual Mayor’s Pumpkin Fest at Frog Pond: Sunday, October 19, 2014 from 4:30-6:30pm. Enjoy the Mayor’s Pumpkin Fest with floating pumpkins, music, family fun activities and more! Fort Point Open Studios: October 17-19, 2014. Celebrate 35 years of Open Studios in Fort Point with more than 150 artists opening their doors to visitors. Meet and Greet With Tedy Bruschi: Saturday, October 18, 2014 from 1:30-2:30pm at the Woburn Mall. Meet Tedy Bruschi and enjoy pizza slices at Papa Gino’s for .54 and large cheese pizzas for $5.40! Haunted Happenings in Salem: Fun events daily in Salem, MA. Salem has a lot of haunted happenings this October including a free movie night sponsored by Radio 92.9 every Saturday night. Please let me know in the comments below if I missed any fun and budget-friendly things to do this weekend! A fall afternoon with FREE awesome live music. If you’d like you’re encouraged bring and carve a pumpkin in the park! The park is about a 5-10 minute walk from Union Square, 15 from Harvard Square, and is right on the 86 bus route. There is street parking in the area but look out for resident permit zones. Thanks for sharing! Hope you have a great show!